The seven hopefuls seeking to fill the remainder of Mark Wheetley’s term on the Arcata City Council are set to take questions at a candidate forum tomorrow at city hall. Three Arcata planning commissioners — Jason Akana, Robin Baker and Judith Mayer — as well as educator Michael J. Hart, Minor Theatre owner Joshua Neff, former Councilmember Alexandra Stillman and small business owner Brett Watson have applied for the post. 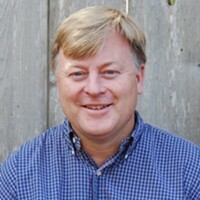 Wheetley stepped down from his seat in March to accept a job as Fortuna’s city manager. His term ends in 2018. 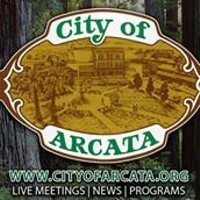 Residents can submit questions for consideration via Facebook Live on the city’s page or at the 6 p.m. forum, which will be streamed live at www.cityofarcata.org and on Access Humboldt/Suddenlink Cable Channel 10. One topic likely to come up is whether Arcata should designated itself a “sanctuary city” after the council split on the issue at last week’s meeting and opted to bring the subject back for consideration once a fifth member is appointed. The council can make an appointment following the meeting, wait until the April 19 council meeting or the decision could end up being decided in a special election later this year if the council is unable to reach a consensus. The candidates’ application are available for review here. Editor's note: This story was changed to clarify that councilmembers had the option of making an appointment following the candidate forum.